North Myrtle Beach, South Carolina is one of the most popular vacation destinations on the eastern seaboard. The area is full of activities and events, and the Waipani II Resort & Beach Club is perfectly placed for you to have easy access to all the local attractions. 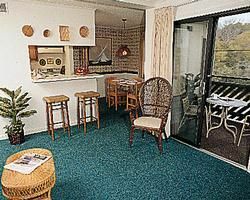 North Myrtle Beach timeshare resales give you the opportunity to enjoy a private vacation condo in this desirable destination. As an owner, you will have access to all the resort facilities and amenities including the outdoor swimming pool and tennis courts. Located just steps from the beautiful beach along the Atlantic Ocean, your vacation home is a two-bedroom, two-bath unit with attractive, wood framed cottage-style design. It features air conditioning, a dishwasher, microwave, washer/dryer and Wi-Fi in public places. When you own a timeshare at Waipani II Resort & Beach Club, you can even bring your pet on your vacation. 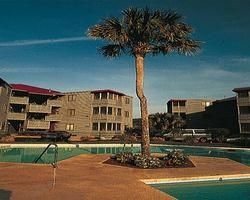 These North Myrtle Beach timeshare resales put you right in the middle of all the action in the Myrtle Beach area, and there is plenty. Several championship golf course, boating, some of the best fishing on the East Coast as well as deep-sea fishing, a fitness club, live entertainment and many excellent restaurants are just minutes away. The locality offers many family-friendly activities, including Barefoot Landing, Broadway at the Beach, Fantasy Harbour, musical theater year-round, amusement parks, many water sports and much more. You will find excellent shopping, fine dining and yearly festivals and events. There is good reason North Myrtle Beach is considered one of the best vacation destinations in the country. Owning a timeshare is a great way to secure your future vacations at today’s discounted resale prices if you consider traveling an important part of your lifestyle. You can even exchange your unit for a comparable one in many countries around the world and have a first class vacation for a fraction of what it would ordinarily cost you. If you want to take your family to Europe, but think it would be too expensive, you may be able to afford it when you own a timeshare. The Waipani II Resort & Beach Club is a good place to begin your life of adventure. Contact Waipani II Resort & Beach Club Specialist Today!